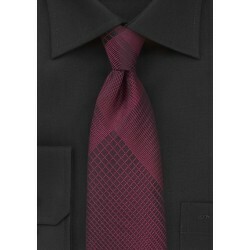 Above our all our mens ties in a medium-red shade that fall right between the bright fire engine red and the darker burgundy red. Should you be looking for a specific shade of red, such as a particular pantone or PMS color, then please contact us. 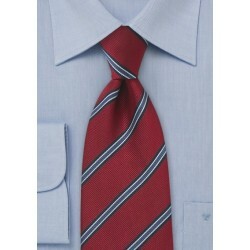 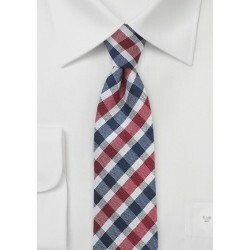 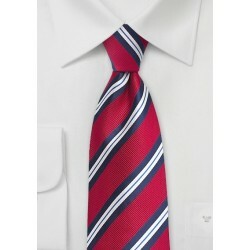 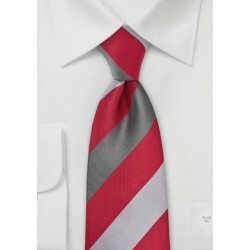 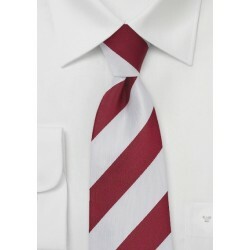 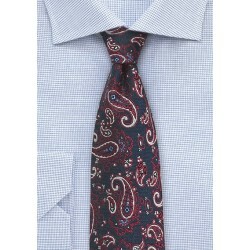 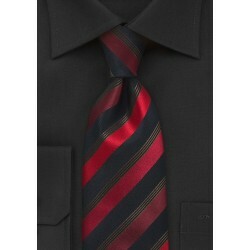 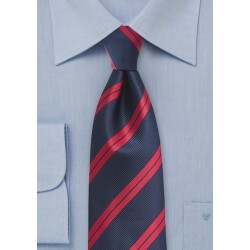 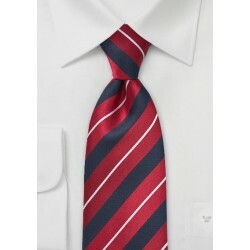 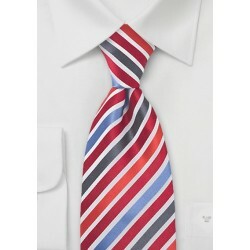 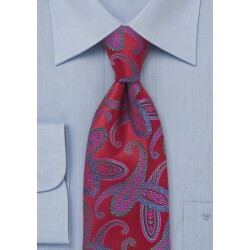 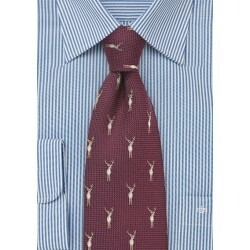 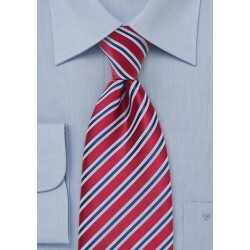 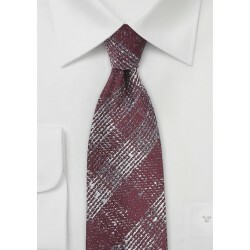 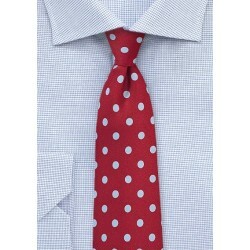 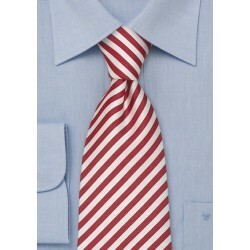 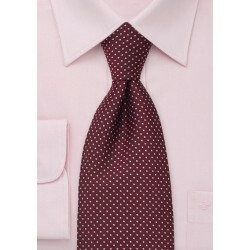 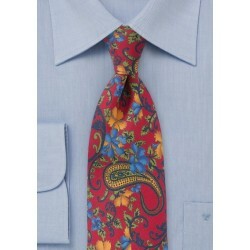 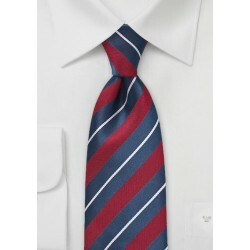 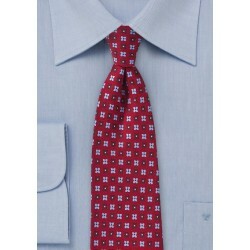 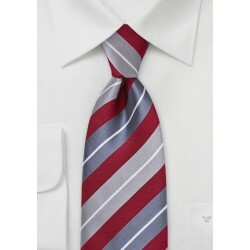 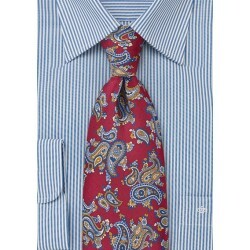 We at Mens-Ties.com also make custom designed and colored ties for bulk orders exceeding 50 ties. For quantities less than 50 ties we suggest you place an order for a few different red ties that appear to match the color you are looking for. 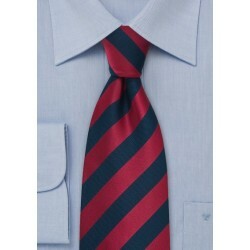 Any non-matching ties can be shipped back for full refund – assuming the ties have not been worn and were purchased within the last 60 days. Typically the brighter the shade of red on a tie the more attention it will grab. 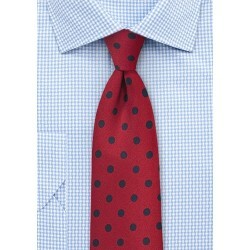 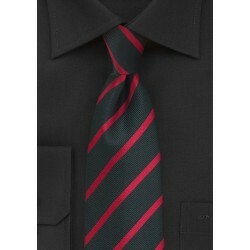 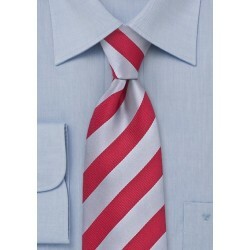 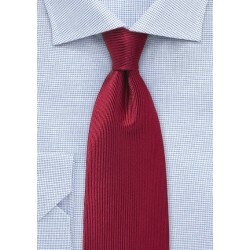 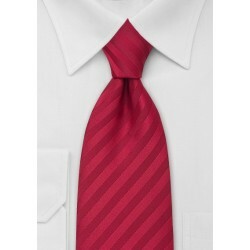 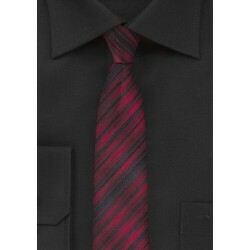 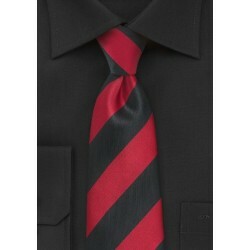 If you are looking for the ultimate “power tie” then we suggest you have a look at our assortment of Bright Red Ties. Above are all medium-shades of red such as cherry-red, apple-red, candy-red, crimson-red, ruby, cardinal-red, and so on. The red ties featured above are truly timeless. 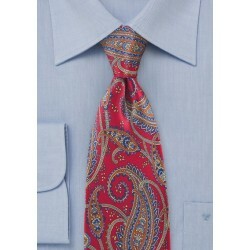 They will match in any season and suit any occasion. Unlike the very bright red ties, the medium-shades of red, are less flashy and perfect for any business setting. 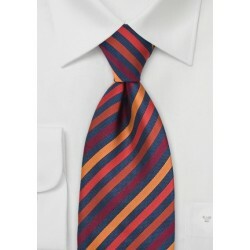 To match these ties most suit colors will compliment. The best suit colors are classic navy-blue, gray, charcoal, and black. For more information on how to match a particular tie please read the products detailed description.